This Tommy Hilfiger Womens T-Shirt is Made from 100% Organic Cotton. Our Collection at Boxers and Briefs contain only the highest quality Tommy Hilfiger Womens Clothing. A part of the Core ranges is the Tommy Womens Organic Cotton T-Shirt Collection. 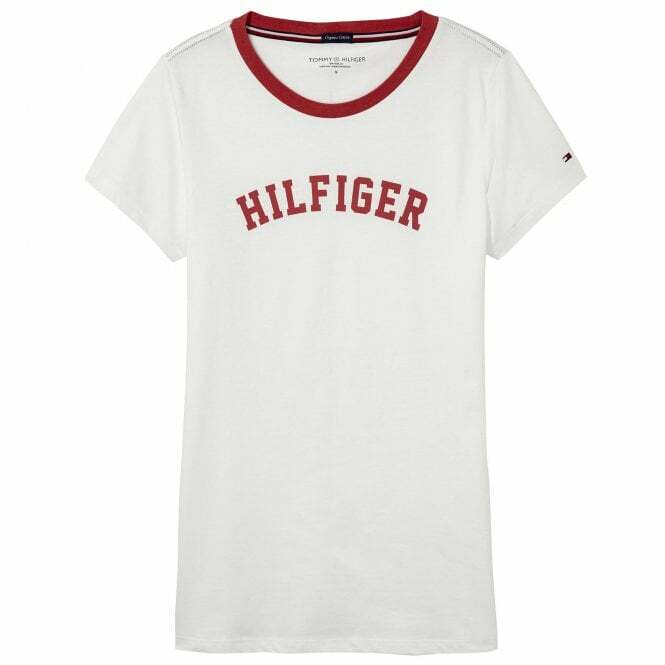 Within this range we have a White & Red Tommy Hilfiger Womens Organic Cotton Short Sleeved Crew Neck T-Shirt, which is available in multiple sizes ranging X-Small to Large.